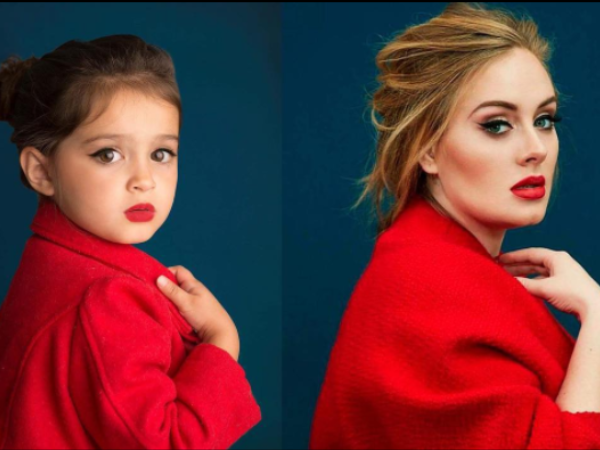 Three-year-old Scout and her mom have recreated looks from Adele, Frida Kahlo and even teen activist Malala Yousafzai. An adorable three-year-old dresses up as iconic women and shares the pictures with the thousands of followers on her Instagram page. Scout Penelope Larson, from Florida in the US, has recreated looks from Adele, Frida Kahlo and even teen activist Malala Yousafzai. Mom Ashley Larson started dressing her daughter as influential women, to teach her that women are fighters after Scout’s grandmother was diagnosed with breast cancer. “When Nonnie’s hair started to fall out, Scout got very concerned and I wanted to put both of our minds at ease,” Ashley told BoredPanda. Little Scout now boasts more than 40 000 followers on Instagram but is unaware of her fame, her mother told Metro. “Scout basically has no idea how large her reach is. She just loves doing photos with mommy. It’s our mommy/daughter time,” Ashley said. Nonnie, as Scout’s grandmother is affectionately called, is now cancer-free and has even featured in the pictures. She wants her daughter to take pride in the woman she will one day become. “I hope that when Scout looks back on this, she is proud of who she is and who she will become.